Welcome to our range of disco packages. 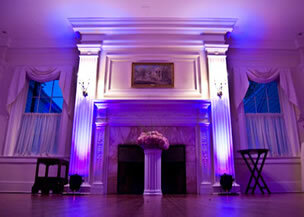 Each of these packages is designed to accommodate different size venues and no's of guests. If you have any queries or would like to discuss these further please call us on 07962 499933. or send us a message through our contact form. Add a real wow factor to the room with illuminated walls and features themed in a colour of your choice. We can include a set of uplighters from only £79.